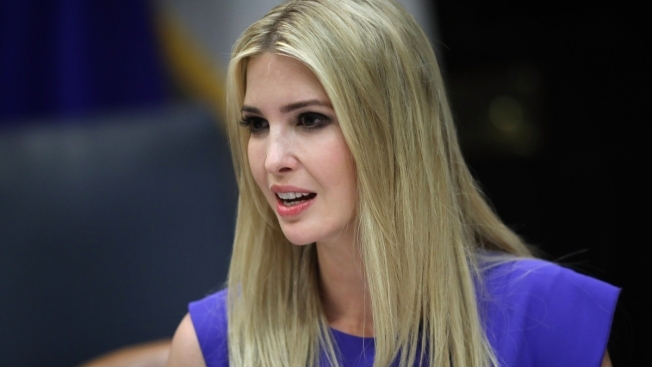 This June 21, 2018, file photo shows Ivanka Trump speak as her father, President Donald Trump, meets with U.S. governors over lunch at the White House. She said Tuesday, July 24, 2018, that her fashion line is closing. Ivanka Trump's fashion line is closing down, the company said Tuesday. Trump had left the brand last year to work for her father at the White House and a representative for the fashion line said that it wasn't able to grow in the way it had when she worked there. With Trump committed to Washington for the foreseeable future, she decided to close the brand. Her business employs 18 people, NBC News reported. "After 17 months in Washington, I do not know when or if I will ever return to the business, but I do know that my focus for the foreseeable future will be the work I am doing here in Washington, so making this decision now is the only fair outcome for my team and partners," Trump said in a statement. The Wall Street Journal and New York Post first reported the story. Trump was asked last week as the White House pushed a buy American drive whether she would ask the Trump organization to sign a similar pledge. Trump said it was "a great idea" but wanted to "recuse" herself from "calling them."